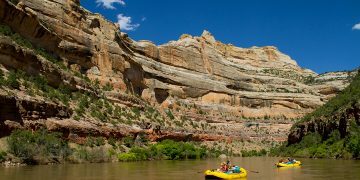 Dinosaur National Monument – the name alone conjures a host of images: dinosaur bones preserved in ancient rock walls, deep rivers that cut indecorously through dry desert canyons, ancient sea beds full of prehistoric fossils, frozen in time. 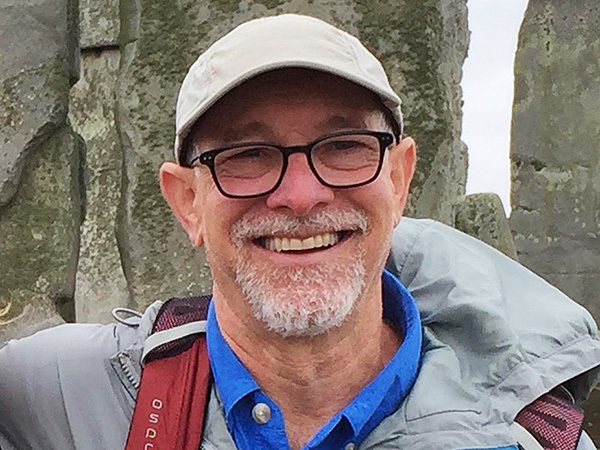 Join licensed professional geologist and OARS guide Elliott Lips for an in-depth exploration of these wonders of the evolution of the Earth. Elliott has 36 years of experience in engineering geology and geomorphology in the western United States. 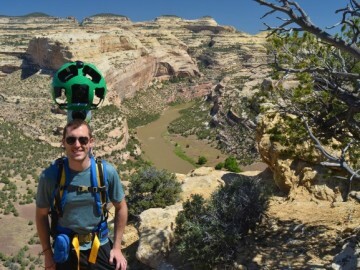 He has conducted research, consulted, taught university classes, and provided expert witness testimony on geologic hazards, engineering geology, dam evaluations, climate change, and natural resource management. 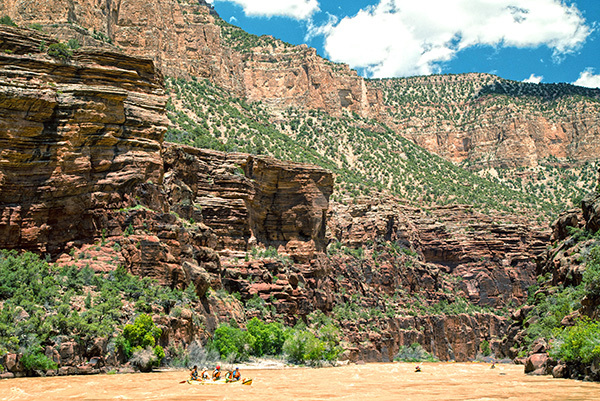 Elliott began guiding river trips in the Colorado River system 44 years ago, and has been a part-time guide for OARS since 2007. 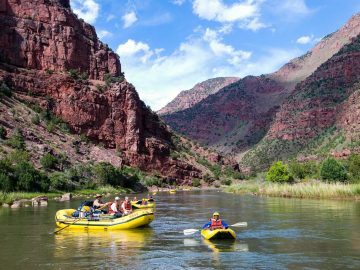 In addition to guiding, he assists with guide training on the Yampa River, Green River through the Gates of Lodore, and the Colorado River through Cataract Canyon, and leads geology trips on the Yampa River and Cataract Canyon. 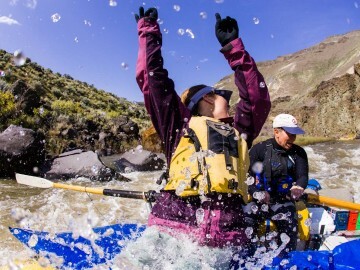 He is passionate about sharing his love of rivers and geology with other people. 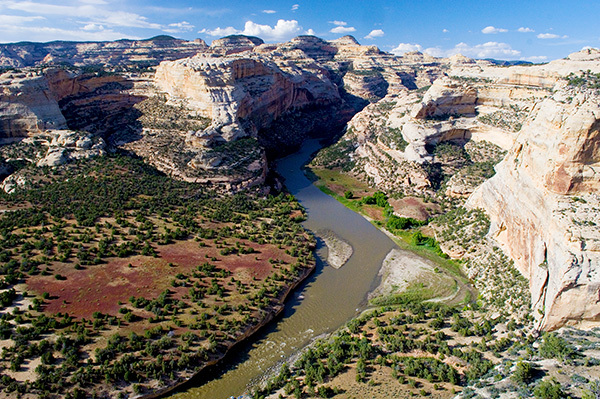 As you descend the Yampa River, you have the fascinating experience of actually traveling through the river canyon’s various layers, each one representing an entire age of the earth’s development: the rise and fall of major mountain ranges, the arrival and retreat of oceans at least 12 different times, the alternating development of deserts and swamplands. 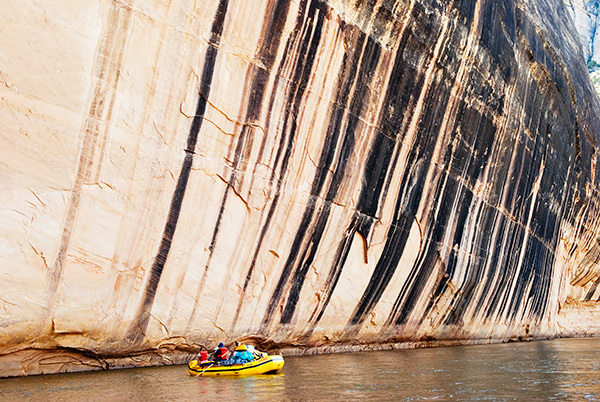 A billion years are captured in these canyon walls, along with the remnants of various life forms that existed long before humans. 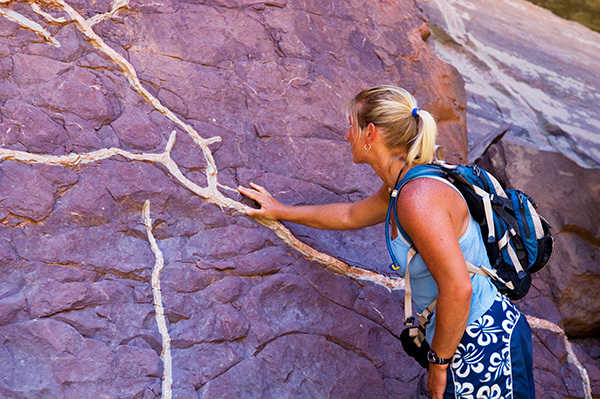 Our pathway through time showcases some of the oldest exposed rocks in the world, ones that have been folded, lifted and split by eons of geological forces.